We previously announced the exciting news that a new Star Wars themed resort would be coming to Walt Disney World. This was first announced last summer at the D23 Expo. 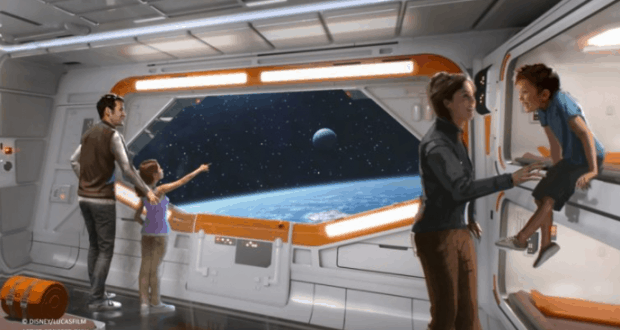 Disney Parks Blog provided more details about this resort that we are happy to share with all of you Star Wars fans out there. The location has been made official and the area is currently under development. The resort will be located on the south side of Disney’s Hollywood Studios, which will put it just east of World Drive. The proximity to Disney’s Hollywood Studios will enable guests to have a completely immersive experience with direct access to Star Wars: Galaxy’s Edge. This is a huge addition to Walt Disney World and one that we will be actively following so we can provide you the latest and greatest. Who else can’t wait to go and stay for this themed experience?